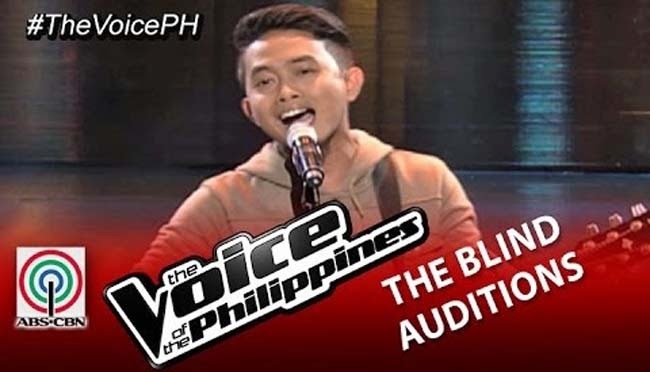 Mic Llave,27 years old from Quezon City was one of the artists who made it to the Blind Auditions of The Voice of the Philippines Season 2. She is a guitarist who dreamed of becoming a front man of the band. He started playing guitar when he was 19 years old and since then, he stopped playing and was greatly influenced by his cousins who had bar gigs. Mic joined his cousins until such time that he was able to connect with other musicians and got breaks. For the record, Mic is Juris’ band mate playing the guitar. Juris expressed her gratitude towards Mic for joining the Blind Audition. With his guitar, Mic went center stage to perform the song “Panalangin” which was also performed and recorded by his band mate before. He did something different with the tune of his guitar that made Coach Lea turn her chair at the first part of the song. And since she was the only coach who turned her chair, Mic instantly became part of Team Lea. Coach Apl.de.ap said that he liked how Mic sang the song with the bounces but it was just not the kind that he was looking for. Coach Bamboo has his point of comparison since there were different artists who sang the song on the previous season of The Voice and The Voice Kids as well. Coach Lea liked how he played the guitar, just singing without efforts, so natural. The coach approached him and welcomed him to her team.